Series Motivo Tiles of the Motivo 20x50 series are in the classical beige and gray color, the two decors in the collection make it possible to create a variety of designs that can be used individually or combined together. Series Utopia Warm beige and cream color of the tiles of series Utopia 25x40 will make the bathroom cozy and relaxing place. 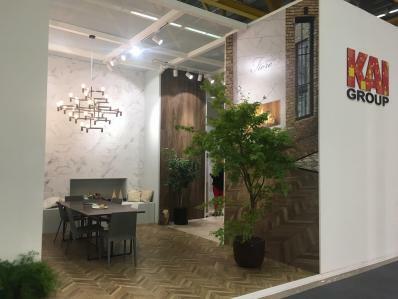 For fifth consecutive year KAI Group participates in the prestigious international exhibition - Cersaie. The event is held annually in the Italian city of Bologna and this year was in the period 24-28 September 2018. We are very happy that KAI Group is part of the impressive project by Petya Mod and Stoyka Mateeva for a school fence in Smyadovo,. 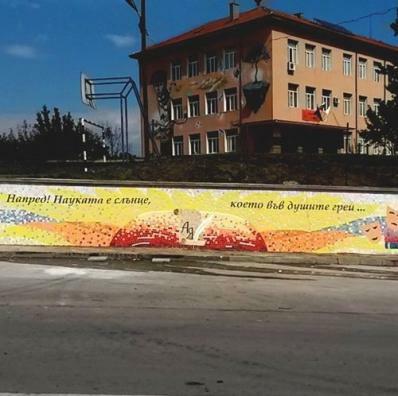 The fence of St. Cyril and St. Methodius School has a length of 64 m and an average height of 1.5 m and the total area of ​​the mosaic is 96 sq. m.
С радост ви съобщаваме, че на 10 септември 2018 г. (понеделник), в присъствието на нотариус, беше изтеглен шестият печеливш от регистриралите се за участие в организираната от КАИ Груп томбола – „КУПИ И СПЕЧЕЛИ“. 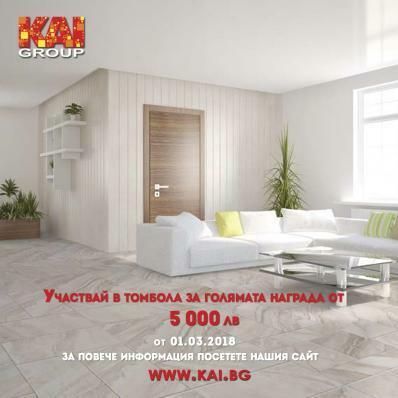 KAI GROUP is one of the largest manufacturers of ceramic tiles and glazed and unglazed porcelain tiles not only in Bulgaria, but also on the Balkan Peninsula.